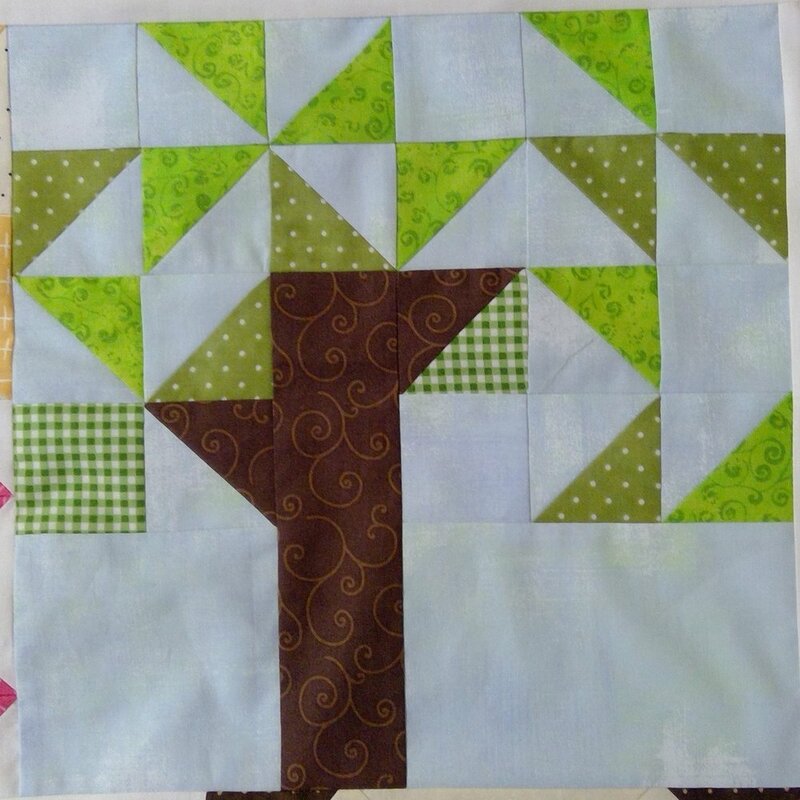 What a great way to grow your quilt-piecing skills! Each month presents you with a different set of blocks; sometimes you will make three blocks, sometimes four, sometimes five. 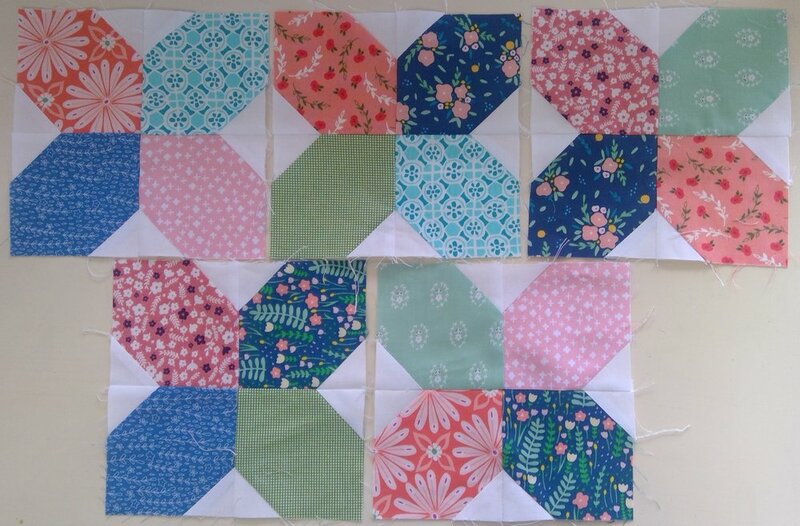 Our Prairie Point BOM quilt program is scrappy, sometimes a planned scrappy with like fabrics for the blocks but different placements. The fabric allowances should be generous enough so that you can use a different technique for making your block units, such as you might do with specialty rulers from Studio 180 or Creative Grids. Also, feel free to substitute fabrics from your own collection to change it up a bit. Be sure to read the information from Heather and Amy at the beginning of the calendar. Beginning in February you will receive project patterns for ten months with ways to use these block patterns. Check back here each month; I will post pictures of our blocks and give you some tips on making them. Please let me know if you have any questions in the fabrics offered, block construction, or anything. Beginners will find this program very helpful, giving you an opportunity to practice skills you have learned; experienced quilters will just have a lot of fun with this, as I have. Patterns are not included in your monthly kits. They are in the calendar which is available here for $19.99. The monthly kits are $12.75 and include fabric for blocks and border. Binding is not included so you can choose your fabric. Calendars are still available and there is still room to join us if you haven't already. Don't want to do the BOM? Purchase a calendar and work on your own! January -- Wildflower -- I made these one block at a time to make it less confusing as I switched the prints around. As you can see from the photos, we have a different set of blocks for some of the kits. I think they all look amazing! For Center, Point, and Corner fabrics, cut all the measurements from each of the three prints; in other words, cut 1 square 4 1/2", four more squares 4 1/2", 4 squares 3" and 4 squares 2 1/2". I included a diagram in your kit. Don't forget to trim half square triangles to 2 1/2". It makes units fit together so perfectly -- use Bloc-Loc if you have one. Step 2 and 3 -- the Folded Corner Clipper is great for this. Be alert so you are placing it where you want it! If you followed the directions and sewed an accurate 1/4" seam you shouldn't need to square up your completed block. Another fun idea: gather your stash and make an entire quilt using this block. I think I am going to do just that! Each block could be a different set of prints. February -- Barn Blocks -- It won't take you long to put these together. See how the right side of the barn has more background space than the left? You don't have to do it that way. Switch it around on a couple of them. Perhaps you want to use your own fabric and make a print background, or blue. Have fun! March -- Star Bright -- I think they look beautiful. Like the first month, from each of the three prints, cut out all squares from each, except for the center block. Each block has yellow in the center. From the background fabric, cut for three blocks instead of one. The Bloc-loc will help square up your half-square triangles, and Tucker Trimmer squares up the quarter-square or hourglass blocks. April -- Posy Blocks -- Make five little posy blocks. Mix 'em up any way you want to. These go so quickly you will be wanting the next month's kit early. We'll give it a try and let you know if the newsletter if it is ready. Oh! and use your Folded Corner Clipper here if you have one. May -- These cute little pups are all alike. Very unusual quilt block! but a fun addition to the quilt. All the dogs are made alike, but feel free to change the colors up a bit with your own fabrics. June -- Combine your yellows any way you want. Here you make half-square triangles, then add the corners. Hmm.. I see Bloc Loc and Corner Pop or Folded Corner Clipper here if you have the tools. July -- What a cute block! You can certainly make use of this sewing machine in another quilt or project. September -- Your kit includes greens for the leaves on the trees. But feel free to add an autumn-looking tree to the mix for fun! October -- Just mix ‘em up. November -- What a fun little flower block! December -- Again, feel free to add an autumn block, or make them all green if you want. Month 12 includes the white for borders, but binding is not included. You will want to select your own binding according to your color preferences. I know I had a hard time deciding which color I wanted on my quilt. 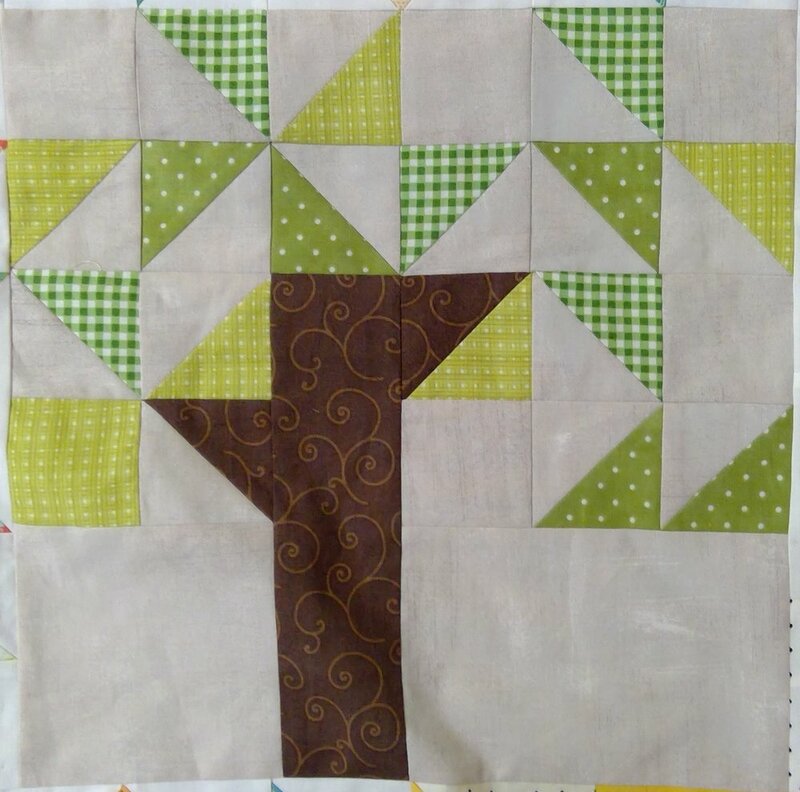 Quilt Setting: The calendar pattern shows you how to put the blocks together in sections. Below are three of the sections. You can see how I placed my blocks, but feel free to change the color placements of blocks any way you like. Below are two more sections.